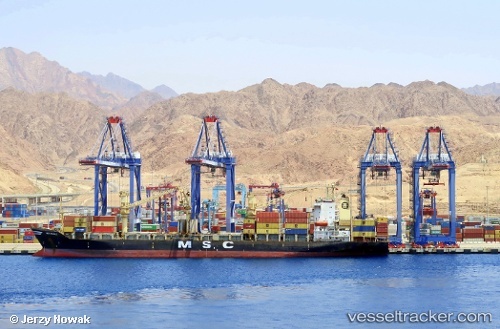 Jordan’s Aqaba New Port will see all ship and goods movements, warehouse management and logistics fully digitised in a project with a contract volume worth millions of euros. German company INPLAN Software Solutions (INPLAN), which provides software solutions for ports, terminals and maritime logistics firms, has won a tender for the venture, which will be realised in several phases and is anticipated to last two years. “INPLAN has been able to fully demonstrate its strong performance and succeeds in an 18-month bidding process against some 50 international competitors,” INPLAN chief executive Mohamad Itani said. New pre-arrival clearance protocols and reduced terminal handling charges for containers in transit, mean that Jordan’s deep-water Aqaba Container Terminal (ACT), located on the Red Sea, is now a realistic alternative maritime gateway for Iraq-bound cargo, APM Terminals said in its press release. Containers imported into Iraq will no longer have to be trans-loaded onto new trucks as they cross the Jordanian/Iraqi border. “The Aqaba Container Terminal has been working hard over the years to develop a competitive gateway to Iraq," says ACT Managing Director Steven Yoogalingam. “This will enhance the already strong Iraqi port system and gives the business communities of both countries a fantastic transportation system to better support economic development in the region." Ideally located, the ACT is 550km - or 36 hours by road - from the Iraqi border town of Traibil and 48 hours from Baghdad. This development comes as the volume of Iraqi imports experience rapid growth - 86% last year alone.